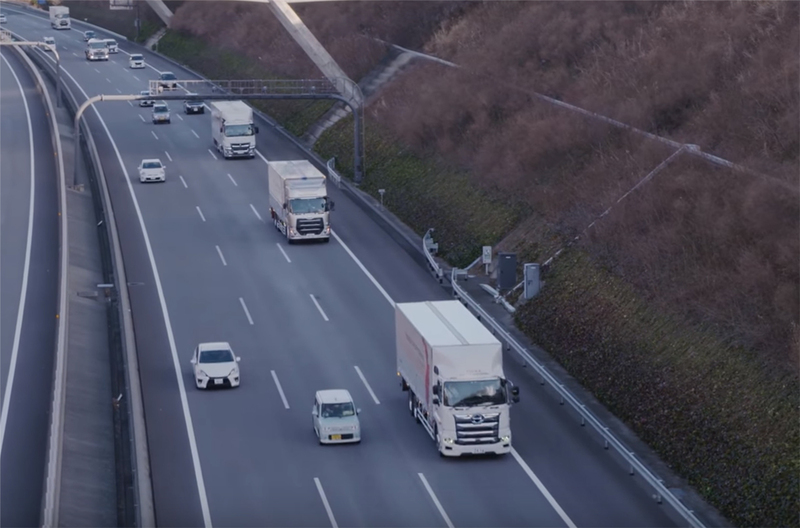 Here we present various problems of modern society that automated driving technology can contribute to solving, some examples of utilization of automated driving technology, and our efforts toward practical applications. We contribute to resolving various social issues by making work more efficient and less labor-intensive through automated driving technology. 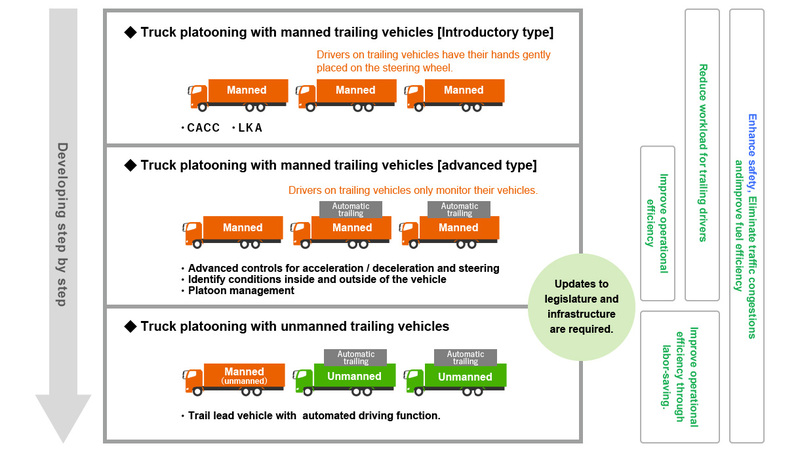 Vehicle platooning is when multiple vehicles form a ‘platoon’ or ‘convoy’ to travel while mutually maintaining a certain distance by cooperating such as speed adjustment and steering wheel operation. Bus Rapid Transit (BRT) is a massive high-speed transport system for buses with PTPS. We are promoting the development of buses and technologies useful for BRT. 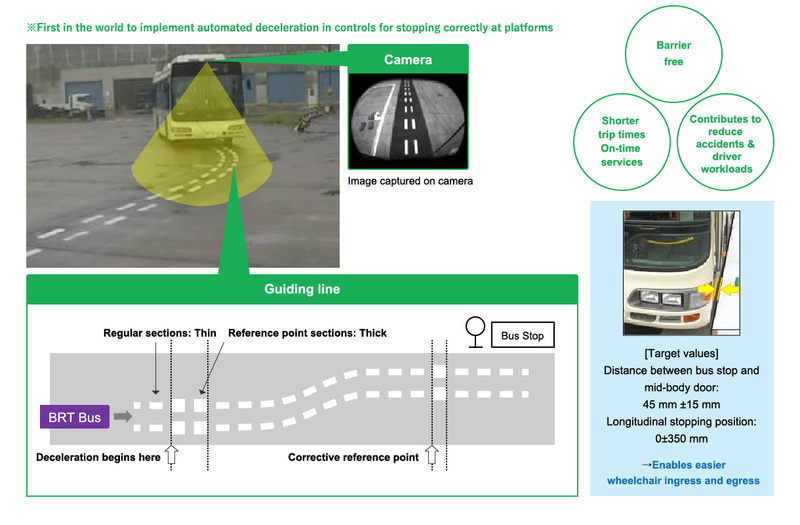 Uses cameras that can be attached to platforms such as bus stops to recognize guidance lines marked on the road and support driving operations by guiding vehicles using automatic steering wheel control and automatic deceleration.